Wajdi Mouawad was born in Lebanon in 1968 and grew up in Beirut and Paris, France before immigrating to Canada and settling in Montreal. A graduate of the National Theatre School of Canada, Mouawad has been involved in the theatre in many capacities: writer, adapter, translater, actor and director. With Isabelle Leblanc, he co-founded the Théâtre Ô Parleur. From 2000-2004 he was artistic director of Montreal’s Théâtre de Quat’Sous. Mouawad was the Artistic Director of the National Arts Centre French Theatre, completing his tenure with the 2011/2012 season. He has published more than a dozen plays and a two novels in French. Many of his plays have been translated into English. Littoral (published in English as Tideline) was made into a film in 2004 with Mouawad as co-screenwriter and as director. In 2007, his French-language play Assoiffés was nominated for a Governor General’s Literary Award. In 2008 he received another nomination for a Governor General’s Literary Award for French-language drama for his play Le soleil ni la mort ne peuvent se regarder en face. Translation of: Alphonse. (Leméac, 1996). Toronto: Playwrights Canada Press, 2002. Alphonse has disappeared an everyone is searching for him: his partners, his friends, his teachers, the police…meanwhile Alphonse is walking along a country road inventing the extraordinary adventure of Pierre-Paul-René. An adaptation and translation of: Tous des oiseaux. Toronto: Playwrights Canada Press, 2019. A terrorist attack in Jerusalem puts Eitan, a young Israeli-German genetic researcher, in a coma, while his girlfriend Wahida, an Moroccan graduate student, is left to uncover his family secret that brought them to Israel in the first place. Since Eitan’s parents erupted at a Passover meal when they realized Wahida was not Jewish, he has harboured a suspicion about his heritage that, if true, could change everything. In this sweeping new drama from the prolific Wajdi Mouawad, the Israeli-Palestinian conflict hits close to home as a straight-laced family is forced to confront everything they know about their identities. An adaptation and translation of: Un obus dans le coeur. Toronto: Playwrights Canada Press, 2012. A call late at night has Wahab springing into action. Despite a blinding snowstorm, an irritating bus driver, and a spinning wheel of worries, Wahab travels to his dying mother’s hospital room. 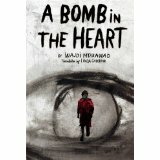 A journey of two kinds, A Bomb in the Heart is about a young man’s relationship to his mother, the pain of loss, and about understanding the voice deep within. Toronto: Playwrights Canada Press, 2007. A young man enters a hotel room and spends a sleepless night, jotting words down on paper, the prelude, perhaps, to a novel in the making. Haunted by his imagination and by the characters who appear to him, the writer, slowly but surely, will recognize someone who will complete this world: the Hotelkeeper, a woman who has never been haunted by such questions, but who has suddenly become a victim of fate. Toronto: Playwrights Canada Press, 2010. As she tries to unravel the mysteries of her origins, Loup opens a door onto the abyss where the memory of her bloodline lies entangles in a sequence of impossible love affairs. Following Littoral (Tideline) and Incendies (Scorched), Forests is the third part of Wajdi Mouawad’s critically acclaimed dramatic quartet set in the painful wake of the past century. Toronto: Playwrights Canada Press, 2013. Isolated in a secret location, an international team of intelligence personnel is given the task of intercepting and decoding cryptic messages from terrorists. The sudden and unexplained suicide of one of the case’s key agents forces the team to probe into their colleague’s life in hopes of discovering what he knew and stopping the attack before it’s too late. In Heavens, the fourth and final instalment of his critically lauded The Blood Promises cycle, Wajdi Mouawad crafts a fierce and poignant play that penetrates the intersection where violence, terror, beauty, and art converge. Toronto: Playwrights Canada Press, 2005. 2nd ed. Toronto: Playwrights Canada Press, 2010. Also published in Canada and the Theatre of War. Vol. II. Contemporary Wars, ed. Donna Coates and Sherrill Grace. Toronto: Playwrights Canada Press, 2009. Continuing his quest for sense and beauty, Wajdi Mouawad has plunged into the turbulent depths of writing to discover, washed up midst the sand dunes, fiery tales lost in the mists of time. Making their way through the dunes are Nawal’s twin children, Janine and Simon, who want to solve the mystery of their origins. In retracing the bitter history of their mother (enveloped in silence until her death), other characters come into the story–witnesses or key players able to assist in the investigation. Carried aloft by poetic language, the inquiry pursued by Janine and Simon unfolds in a dreamlike atmosphere that cultivates the mystery surrounding a knife thrust into the heart of childhood. Translated by Shelley Tepperman. Original idea: Wajdi Mouawad and Isabelle Leblanc. A wildly theatrical tale of war and individual discovery, Tideline tells the personal story of Wilfrid, a young man born in Montreal, who struggles to bury his father in his parent’s homeland. There, he acquires friends who all dream of a better life, and confronts a country scarred by war, where an additional corpse is one too many. Followed by Scorched and Forests, Tideline is the first part of Wajdi Mouawad’s critically acclaimed dramatic quartet set in the painful wake of the past century. Translation of: Journée noces chez les Cro-Magnons. Toronto: Playwrights Canada Press, 2001. An audacious and anarchic comedy from a writer who knows first-had what it feels like to be caught in a war zone. 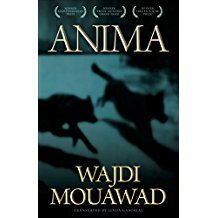 This award-winning novel by playwright Wajdi Mouawad is a thriller and a road novel – written in the North African storytelling tradition in which events unfold from an animal point of view. The novel opens with the protagonist arriving home to find his wife brutally raped and murdered. Driven by grief and the need to find whoever did this – “I want to see his face, I want to know who he is” – the protagonist sets out on a desperate journey from Montreal to Indigenous Communities along the Canada–U.S. border, south through Civil War sites in the Midwest, to Animas, New Mexico. The furious odyssey awakens long-buried memories that make present circumstances even more painful. This masterful novel is told in a bestiary of voices; more than fifty animals, birds, and insects, each with their own characterization and style of speaking, reveal the unflattering contrast between the human and the natural. Violent and dark, the novel nevertheless moves beyond the thriller genre to become a book of multiple levels, rich in symbolism and open to complex interpretation. 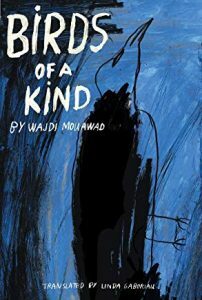 While set in North America, Mouawad’s Lebanese roots suffuse the text, which becomes an examination of cultural influences and at the same time an excavation of childhood trauma and the legacy of war. Choplin, Olivia J. 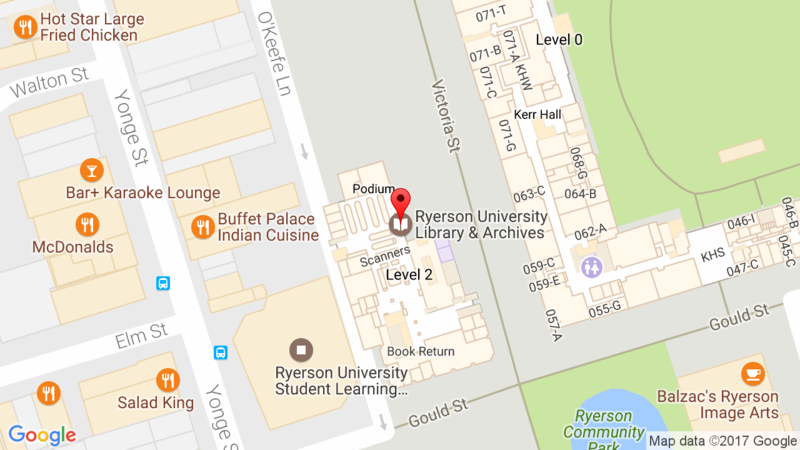 “Staging the Psyche: Representing the “Other Scene” in the Theater of Michel Tremblay, Marie NDiaye, and Wajdi Mouawad.” Ph.D. diss., Emory University, 2009. LaPorte, Julee R. “Unforgettable Cruelties: Influence of Antonin Artaud’s Theater of Cruelty on Abla Farhoud’s “Jeux de patience” and Wajdi Mouawad’s “Incendies”.” M.A. diss., University of North Carolina at Chapel Hill, 2009. Renault, Nicole. “The Performance of Identity in Wajdi Mouawad’s “Incendies”.” M.A. diss., University of Oregon, 2007. Salva, Bernard. “Wajdi Mouawad, un nouvel engagement de la scene au 21e siecle.” M.A. diss., University of Alberta, 2010. Solheim, Jennifer. “Sounding the Text: Listening to Gender in Mediterranean Culture in French.” Ph.D., diss., University of Alberta, 2009. Wajdi Mouawad page from the CEAD website’s section on Québec plays in translation.